CG Consulting is a South African based boutique consulting agency that was established in 2013 and is based in Hermanus, Western Cape, South Africa. Although based in South Africa, virtual management allows them to service customers both locally and internationally. The owners, Gerald Geoff Elske (Managing Director) and Charlise Elske (Director of Hospitality Services & Social Media), with more than 35 years of hands on experience, have a passion for business development. Their experience enables them to be able to service customers in various sectors, which include, travel, tourism, hospitality, catering, retail, franchising, publishing, events, camping and caravaning, tour operations, online travel and loyalty programmes. Geoff is a dynamic, persuasive, take-charge accomplished Executive with a proven track record in achieving business results by developing strategic plans, identifying new markets, developing products and business processes. 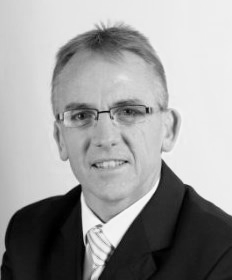 His career has afforded him to gain experience in the retail, education, franchising and lifestyle events sectors. However his passion lies in the travel and tourism industry, and his 25 years of multi-faceted experience in local, regional and global Tourism has afforded him the opportunity to understand the challenges of this ever changing industry from an entrepreneurial, non-profit organizational, tourism developmental and corporate point of view. He has been involved and actively served in various Tourism Industry Organizations, from grass roots Tourism Organisation development, Standards Generating Bodies, National Tourism, through to the Chairperson of a Global Tourism Commission for five years. Supporting this, he has been a guest speaker at numerous industry gatherings, facilitated panel discussions, involved in industry awards, and responded to media questions on various industry related topics. He has the ability to develop strategic long term relationships, can communicate with all levels of decision makers, and prides himself as strong motivator and team player with effective leadership, communication, decision making, problem solving and interpersonal skills, together with a corporate focus and a results-driven attitude. 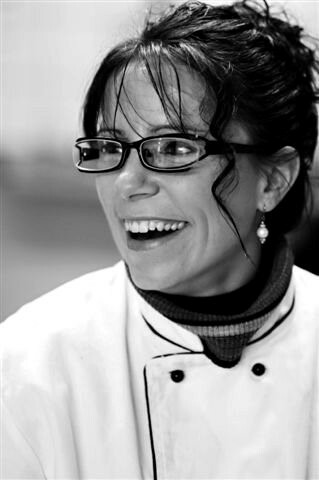 Charlise, is a passionate and accomplished Executive Chef and business woman, with a proven track record in achieving business results in the hospitality industry. Her 20 year, multi-faceted experience in the hospitality industry, has allowed her to gain the knowledge and skills in the hotel, restaurant, catering and conference sectors which she is able to share with CG Consulting clients. Charlise is also qualified in website management, website optimization, and digital marketing of sites, she also assists with Digital Strategies / projects for CG Consulting Clients. Charlise is the main blogger and social media administrator for CG Consulting’s various business ventures. Charlise’s artistic abilities also allow her to be involved in interior decor design and implementation projects, with a focus on re-purposing and reclaiming in order to support being “green”, and create unique identity for clients.